In this post, App Dev Managers Edward Fry and Sheldon Ledbetter explorer the practical implications of Logical Regression and how we’re using to solve problems in systems via Machine Learning. Logistic Regression. The very phrase is a mouthful. It’s easy to imagine it being used by actors to improve elocution or by math professors to punish wayward students. 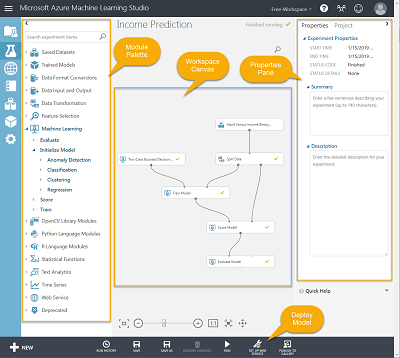 Chandra Sekar, Senior Application Development Manager, shares how his simple exploration into Azure Machine Learning quickly produced an accurate predication of March Madness. If you watched the Day 2 BUILD keynote you might have noticed Joseph Sirosh, CVP-Machine Learning, talking about an internal hackathon where competitors used Azure ML to predict the 2015 March Madness bracket.